I have been a wedding officiant in San Pedro for many years, and I have officiated weddings of all kinds, including civil wedding ceremonies, religious weddings ceremonies, and elopements all over Los Angeles County and Orange County in many San Pedro wedding locations. Some of those weddings have been at The Arcade Building, a wonderful Southern California wedding venue that you might consider for your wedding. 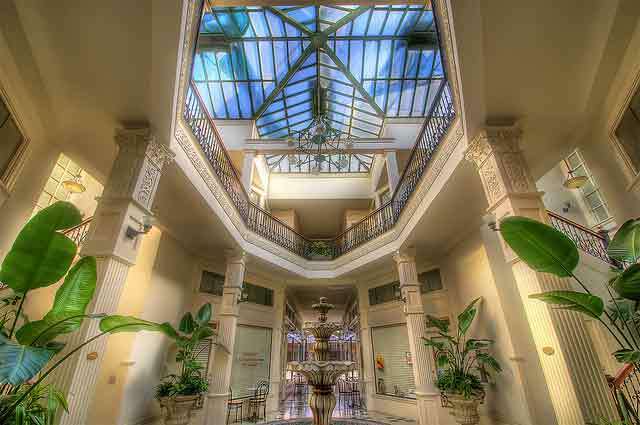 The Arcade Building is an elegant historical building in San Pedro that was renovated beautifully. A unique wedding location that has hosted many television commercials and TV shows, you can have your wedding in this striking Italian Renaissance structure. It is a setting of extraordinary beauty and tranquility. 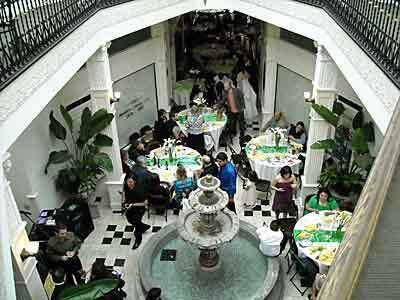 The fountain and skylight make the Arcade Building a unique and perfect place for your wedding ceremony and reception. 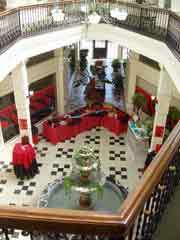 The Arcade Building can accommodate 75 guests. The simplest Pavillion Wedding Ceremony Package includes a reserved one-hour wedding rehearsal and a dressing room for the bride. You will have two hours of exclusive use at the time of your ceremony. If you are planning your wedding ceremony and your reception in San Pedro or anywhere else in Southern California consider the wonderfully unique and beautiful Arcade Building as your wedding venue. And as you plan the details of your wedding ceremony, please consider this wedding officiant, the Officiant Guy, as your wedding minister. Telephone Chris right now to perform your marriage ceremony and additionally issue your wedding license at (310) 882-5039 or (562) 547-3255 or email here.